This is my sanctuary where I share the beautiful technology I’ve made or work with. These are the things I feel most passionate about and love doing :). Created a market simulator and event analyzer in python. 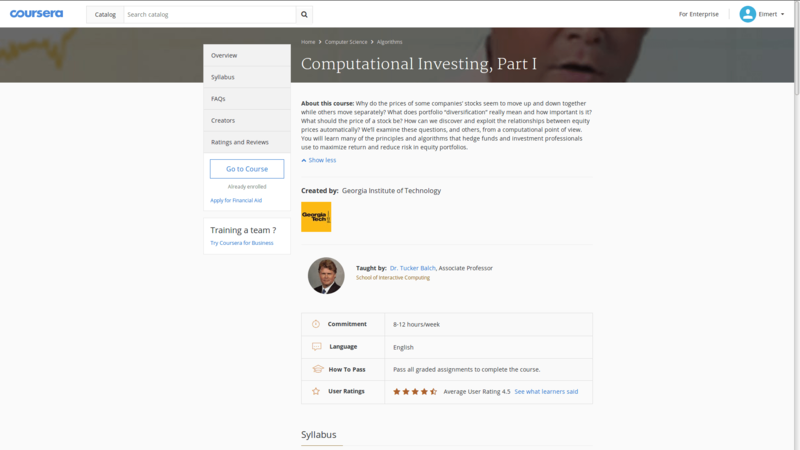 Learned to automatically analyze stocks, and to determine buy/sell opportunities. Coded in python and used numpy with qstk. Also Quandl for getting stock data. 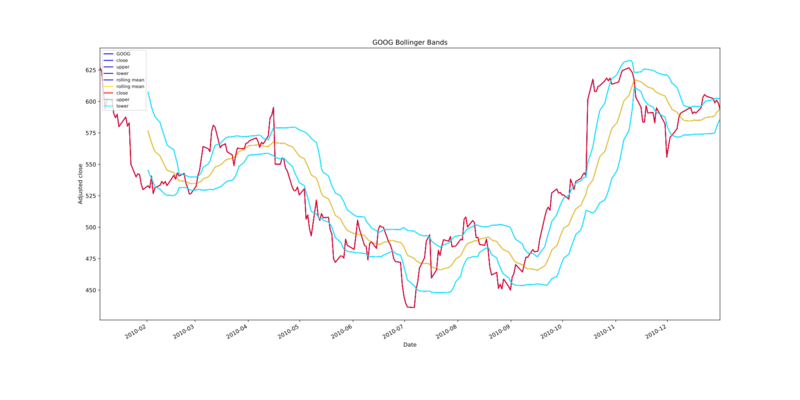 GOOG Bollinger bands, generated with Mathplotlib. State-of-the-art platform for running Java applications based on Infrastructure as Code (IaC). In reveal-md, hosted using github pages.